Also, by way of announcement. 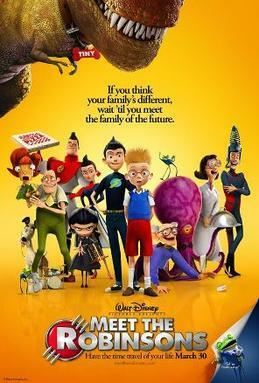 Next week we’re skipping our normal post to ramp up for our 5 week Ratatouille marathon. But next week, we’re going to be announcing the start of our Patreon. Making all this food gets expensive and to keep going, we would love your support. So get ready for that official announcement. There will be some awesome perks for the disneymealers that support us! This is one of the most memorable points in the movie. 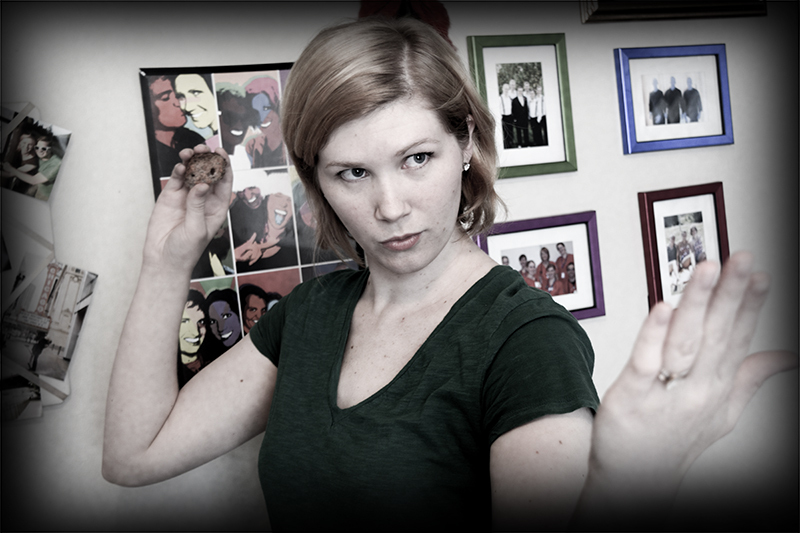 Lewis eats dinner with the Robinsons and an old Kung-fu style fight breaks out! They also mention passing the gravy, which goes around the table on a train (gravy train, HA!). But you never see them actually pour the gravy on the spaghetti and meatballs. I know they’re a weird family, but gravy on meatballs? Well that’s when I learned about Sunday Gravy, which is basically a marinara sauce served on pasta with meatballs! We have made spaghetti and meatballs before for Lady and the Tramp. However, I wasn’t too happy with that recipe. This one is MUCH better. So here’s the recipe for Sunday gravy and meatballs (with some other meats thrown in too). Add the garlic and onion and cook for about 2 minutes or until golden. Puree the tomatoes in a blender, with their juice into the pot. Partially cover the pot and cook over low heat, stirring occasionally, for 2.5 hours. Combine beef and sausage in a large bowl. Slowly add the water 1/4 cup at a time. The mixture should be moist but still hold its shape if rolled into meatballs. Use less water if it seems to be getting too mushy. Heat olive oil in a large skillet. Fry meatballs in batches. Cover with aluminum foil. When the meatball is very brown and slightly crisp remove from the heat and drain on a paper towel. When the sauce has about 10 minutes left, add the meatballs (optional). Pour the sauce over the prepared noodles and mix. (use as much sauce or as little sauce as you want). Top with meatballs and italian sausage. 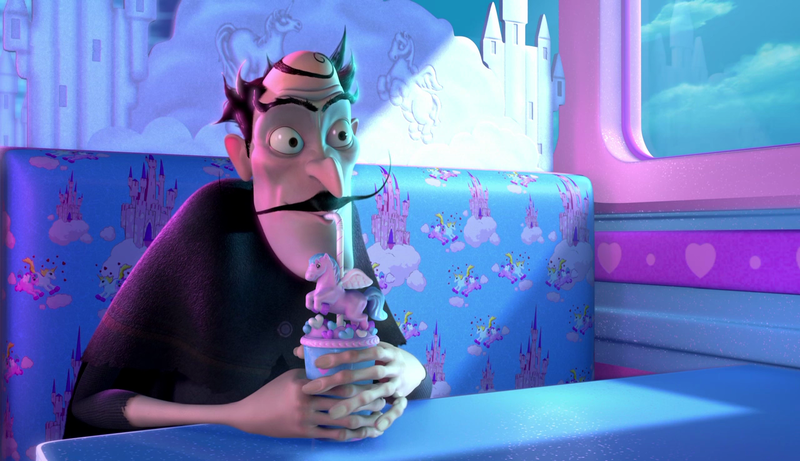 The bowler cap talks to adult Goob at the unicorn themed Paradise Planet. We see Goob sucking down some kind of drink. While we don’t know what he’s exactly drinking, I’m sure it’s something sugary. 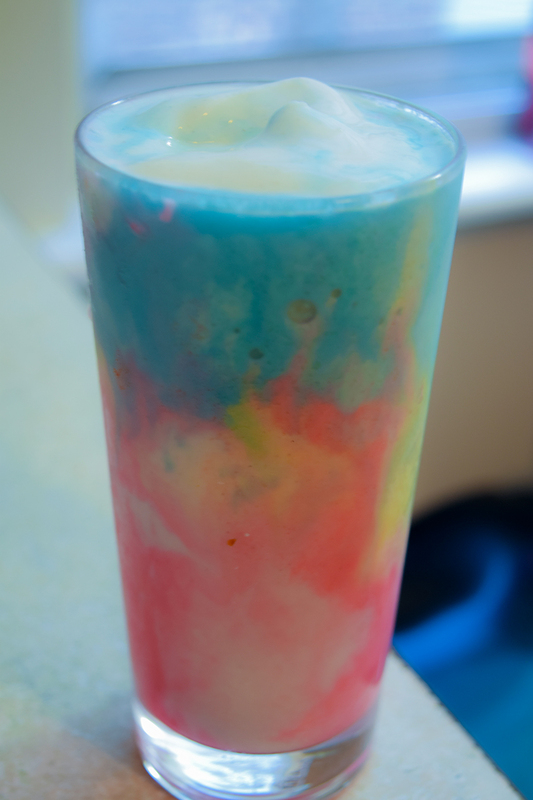 So I made a rainbow milkshake! Perfect for your unicorn loving people in your life. Blend until its at the desired constancy. If you want it runnier, add more milk, thicker, add more ice cream. 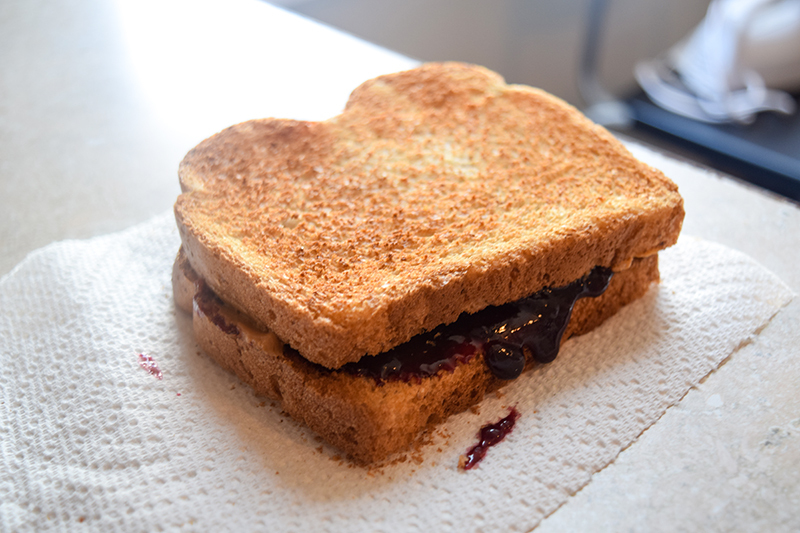 I love PB&J, but have never had Toasted PB&J. It actually was pretty good. Easy recipe. Just toast some bread and slap some PB&J on it. Will it Have a Big Head and Little Arms? 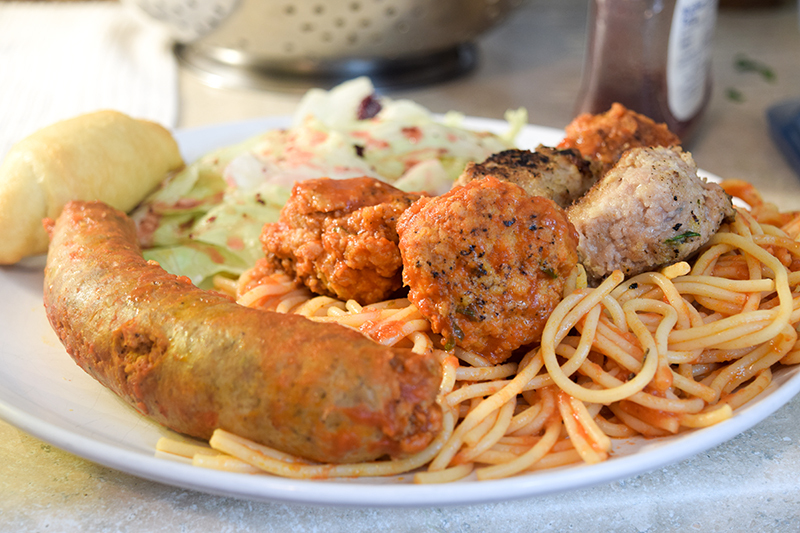 The spaghetti and meatballs was TONS better than the ones we made for Lady and the Tramp.And the Sunday gravy gives you some delicious meats for later meals!